Zac Lynch is headed back to the Pittsburgh area, and will be part of the Pittsburgh Penguins organization for the 2018-19 season. 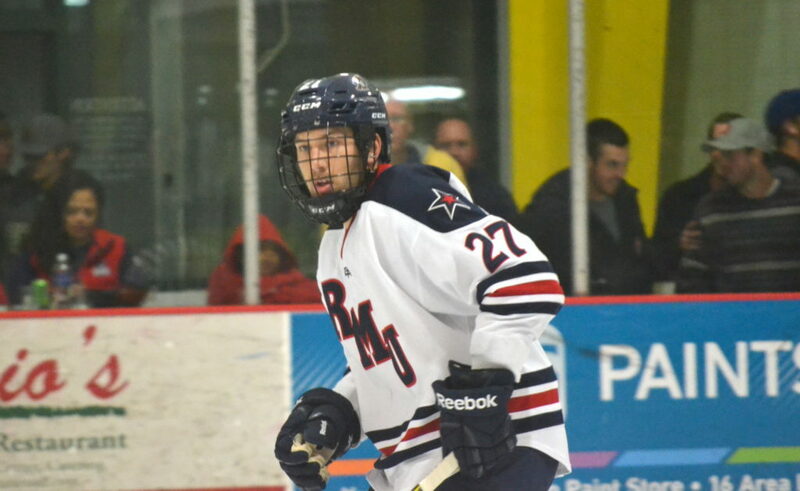 Lynch, a Pittsburgh native who played for the Pittsburgh Hornets and attended Shaler High School before spending four years becoming the leading scorer in Robert Morris history, had his ECHL rights traded from the Manchester Monarchs to the Wheeling Nailers on Monday. Lynch then signed a one-year, ECHL contract with the Penguins’ Double-A affiliate. He spent his first two pro seasons in the Los Angeles Kings organization. He had four goals and three assists in 36 AHL games, split over three stints. He also was nearly a point-per-game player in the ECHL for the Monarchs, scoring 40 goals and adding 40 assists in 92 games. Fellow former RMU forwards Cody Wydo and Daniel Leavens played for the Nailers in 2017-18. Leavens was traded. Wydo remains a free agent. With 157 career points, Lynch passed Wydo’s as RMU’s all-time leading scorer as a senior in 2016. His record was broken last spring by Brady Ferguson, who will be playing this season under an AHL contract with the Toronto Marlies. The Nailers have been the Penguins’ Double-A affiliate since the 1998-99 season.